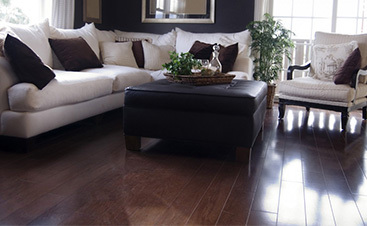 Solid hardwood floors are a big investment in the beauty and value of your home. They can last for hundreds of years with the proper maintenance, and there are a few disadvantages to hardwood floors that you need to keep in mind when cleaning them. Make sure you are getting the most out of your investment by caring for your hardwood floors the right way. In today’s post, we’ll be going over the proper cleaning and maintenance schedule you need to implement to ensure your wood flooring stays clean and beautiful for years to come. Whether the old flooring in your home needs to be replaced or you are looking for the perfect new flooring as you build the house of your dreams, Gateway Design & Home Center is here to help. We have a wide selection of beautiful flooring options, including solid and engineered hardwood, and we can help you find the right materials for your family and your home. Stop into our Loveland showroom today or call for a one-on-one consultation! 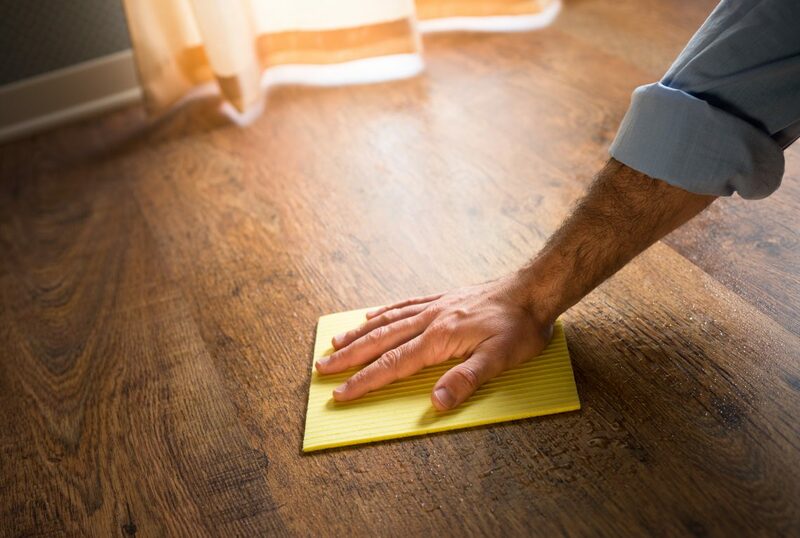 Unlike carpet, dust and dirt have nowhere to hide on hardwood floors, and a build-up of everyday debris can start to scratch or damage your floor. A daily dusting is the best defense against accumulating grime and surface damage. You can use a soft-bristle broom to collect larger particles, but to effectively pick up dust and allergens, you should use a microfiber cleaning pad. A once-over once a day is good practice, but keep in mind that you may need to adjust your cleaning schedule depending on the level of traffic your hardwood floors experience. A vacuum is ideal for getting dirt out of corners and out from the spaces between flooring boards, but use this appliance with caution! Some components of your vacuum, like the wheels or a beater bar, may damage your hardwood floors. Use the floor brush attachment if you can or simply vacuum with care. A mop is also a great tool for cleaning harder-to-reach places and addressing more stubborn build-ups of dirt and grime. However, like a vacuum, you need to be careful when mopping hardwood floors. Solid hardwood floors are very susceptible to moisture and wet mopping can do more harm than good. Make sure that you use a dedicated wood-cleaning product, follow the instructions, and avoid any excess liquid. Wring out your mop until it is damp – bordering on dry – before using it on your hardwood floors and wipe up any excess water or cleaning product with a clean, dry towel. 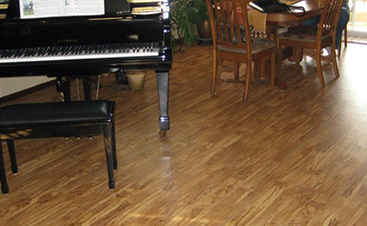 The finish of your floor will determine how you care for it. If you have hardwood floors with a polyurethane finish, use polish to renew and refresh the finish. Polish will fill in microscopic scratches and even out the surface. If you have waxed hardwood floors, on the other hand, buffing will help restore its shine. You should completely refinish or re-wax your floors once every few years. One of the great advantages of hardwood floors is that you can essentially start fresh by sanding down the top layer. You can sand your solid hardwood floors about once every seven to 10 years, removing the old finish and erasing deep scratches or gouges in the top layer of wood. One important thing to remember: if you have engineered hardwood floors, consult a professional before sanding your floors. Engineered hardwood has a layer of solid hardwood over a base of plywood, which limits how many times you can sand your floors before you erode away that layer of attractive hardwood. Hardwood floors are a gorgeous addition to any home, and proper maintenance can help them last for years. Dusting, vacuuming, and damp mopping are everyday chores that can help reduce the appearance of dirt and protect your floors from damage. Sanding and refinishing your hardwood flooring are more in-depth options to help keep your floors looking like new for generations. 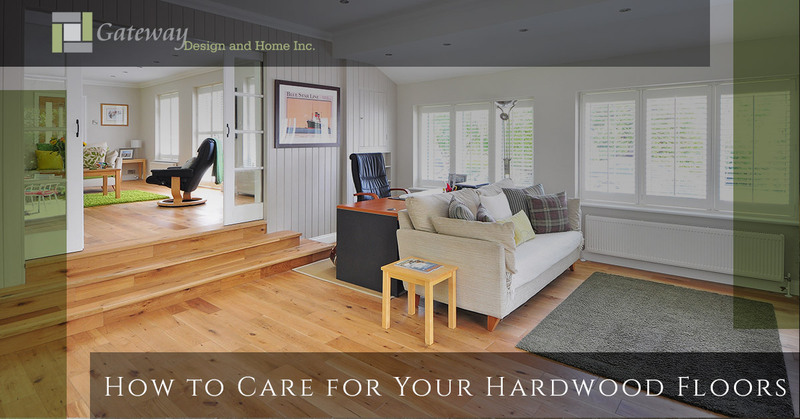 If you are ready to invest in hardwood floors for your new home or remodeling project, contact Gateway Design & Home Center today! We can help you find the right materials for your home and we have a professional, in-house hardwood floor installation team to make sure the job gets done right. Visit our Loveland showroom today or call to schedule a personal consultation!